When we live our lives with negative or limiting beliefs, we get feedback from our body in the form of pains, aches, illnesses, lack of energy, and from our emotions; undesired feelings such as anxiety, depression, apathy, anger, or grief. When we make the decision to improve an aspect of our lives, such as releasing excess weight, we must first tackle the limiting self-beliefs we hold that could prevent us from succeeding in achieving our new goals. You see, limiting beliefs are held in our subconscious mind, so we usually are not aware of what exactly these beliefs are or how they were originally formed. However, through the use of hypnosis, not only can we discover what these limiting beliefs are exactly, but we can also remove and replace them with positive self-affirming beliefs, that will allow us to change our lives in positive empowering ways, release negative emotional behaviours, and achieve the goal permanently. Congratulations on taking the first step toward releasing excess weight from your life and changing your limiting beliefs that have maintained any previous weight gaining habits and beliefs. 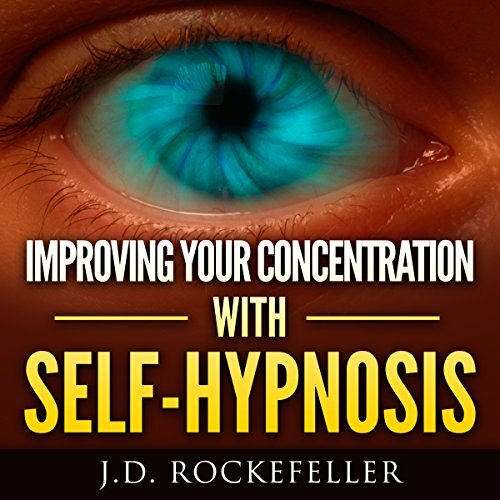 As a result of this hypnosis session, you will experience incremental shifts in your beliefs, your thoughts, your actions, and eventually your habits. You have so many wonderful new emotions and behaviours to enjoy: walking tall, having a strong self-image and positive sense of self, the ability to look anyone in the eye, maintain good health, happiness, and improve your life in general. I've listened to a couple of train your brain type of books now; while I have gotten something out of them, I am irritated that they all seem to discuss weight loss. Same with this one. If you want or need to lose weight, this is the audio book for you! If you don't, the first 10ish minutes are ok. The first part discusses hypnosis and hypnotherapy; it was interesting.